Rapidly rising health care costs in the United States have generated interest in identifying effective ways to improve the quality of care delivery and reduce waste within the health care system. In this ongoing study, researchers are evaluating the impact of a care management program that provides medical and social assistance to individuals with complex needs who incur high health care costs. Researchers will observe the program’s effects on health care utilization and cost, health, and psychosocial outcomes. This project is registered on the AEA RCT Registry and clinicaltrials.gov. Rapidly rising health care costs in the United States are putting increasing pressure on patients, employers, and federal and state budgets. At the same time, there is widespread consensus that there are large pockets of waste in the health care system. This has generated interest in how to reduce costs and improve the quality of care delivery. Given that five percent of the U.S. population accounts for more than half of health care expenditures, there is particular interest in interventions targeting high-cost individuals. Healthcare “hotspotting” refers to a data-driven process for the identification of these high-cost individuals in a defined region of the health care system. It is used to guide targeted intervention and follow-up to better address patient needs, improve care quality, and reduce cost. Previous randomized evaluations suggest that care management interventions aimed at patients incurring the highest costs offer promising results, including significant reductions in subsequent admissions and mortality. Some have even found net reductions in medical expenditures. In this study, researchers will evaluate the impact of a three-month care management program that targets individuals with frequent emergency department visits and hospital admissions, or “super-utilizers” of the health care system. The study authors will measure the impact of the intervention on subsequent health care utilization. In 2012, the median household income in Camden, New Jersey was $25,681 in comparison to $69,667 for the state of New Jersey overall.1 The percentage of individuals living below the federal poverty level was 39.3 percent in comparison to 10.8 percent for the state.2 Researchers will evaluate a program that targets very high-cost “super-utilizers” with complex medical and social needs. In order to be eligible for the care management intervention, an individual must have had at least two hospital admissions in the past six months, have at least two chronic conditions, and have at least five prescribed medications. 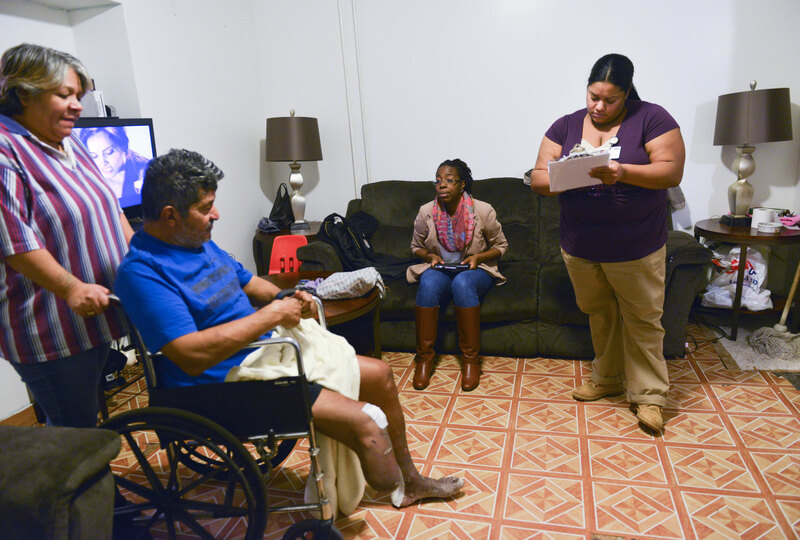 In 2012, there were about 1,500 individuals in Camden with two or more hospital admissions within six months, and hospital bills for each of these individuals averaged $25,000. Despite representing two percent of the Camden population, these individuals accounted for more than one third of hospital receipts. Researchers will evaluate the impact of a care management program on health care utilization and cost, health, and psychosocial outcomes. Patients who are eligible and choose to participate in the program will be randomly divided into two groups: a treatment group that receives the care management intervention and a control group that will not be enrolled in the program. The intervention includes not only medical management, but also assistance in accessing social programs such as Supplemental Security Income (SSI), Supplemental Nutrition Assistance Program (SNAP), Temporary Assistance for Needy Families (TANF), Medicaid, and transportation and housing assistance. A team of registered nurses, social workers, licensed practical nurses, and community health workers address individualized patient needs as they transition from being in the hospital to being at home, with the goal of establishing ongoing outpatient care and social support. The intervention will last between one and three months, will typically involve three to ten home visits, and will aim to improve health and reduce future hospital use. How Do We Know What Really Works in Healthcare?